Talk about attitude and decorum! Is it possible? Of course it is-- we are women. Express your true self... on any given day. 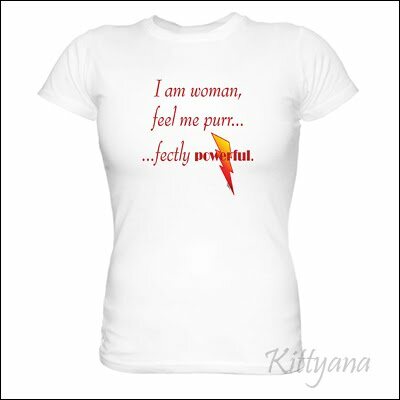 Let your feline femininity show with our purr-fectly witty and tasteful tees. 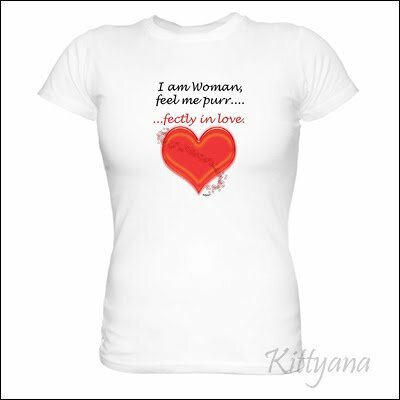 Exclusive Kittyana designs! 100% pre-shrunk cotton. 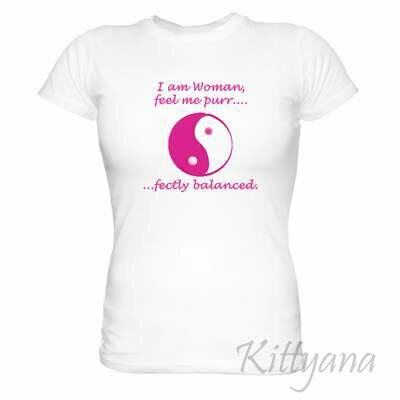 Sizes S, M, L, XL. See Size Chart. S= Item is a one-of-a-kind and part of our Singular Sensations collection. 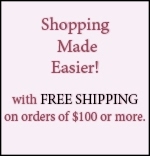 = Item is eligible for Message from the Heart inscription.